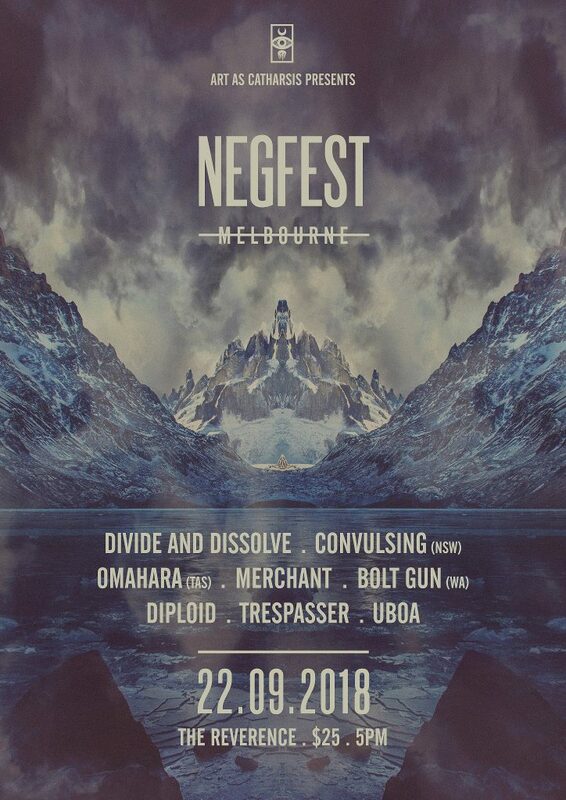 NEGFEST is Art As Catharsis’ annual showcase of heavy, experimental music. This year the festival is travelling to Brisbane for the first time, alongside Sydney and Melbourne. 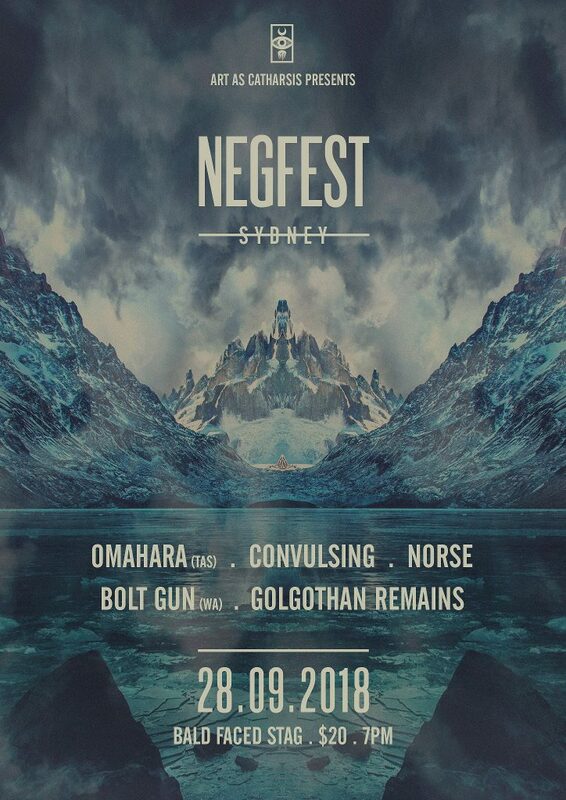 Appearing at each show are Art As Catharsis artists Omahara (TAS), Convulsing (NSW) and Bolt Gun (WA).